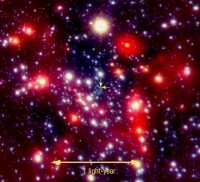 Discovery of supermassive black hole? I don't get it. Why do so many news outlets such as the BBC talk as if there had been any uncertainty in the existence of a supermassive black hole in the center of the Milky Way Galaxy? We already had direct evidence of its existence by observing how stars rapidly swing by it in their orbit around the center of the galaxy for years. While the recent observations and corroboration are exciting in their own right, as it refines previous measurements and make things even more certain, I don't understand the slant a lot of the news media has been putting on the news. Am I missing something? 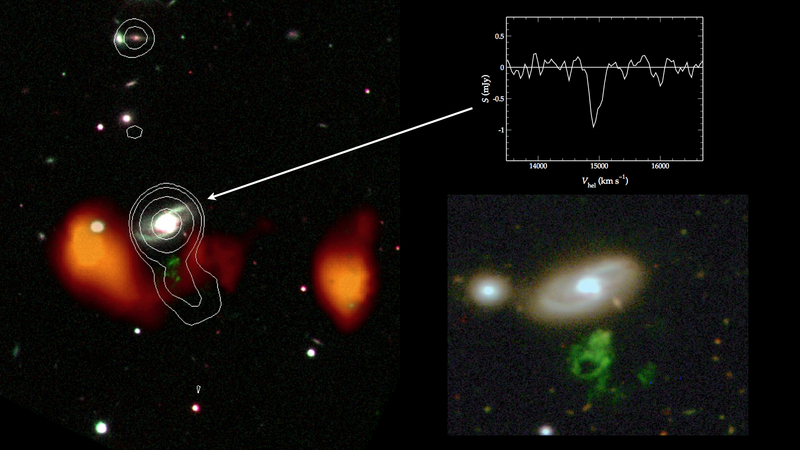 One of the objects discovered through the Galaxy Zoo volunteer project, an effort to take advantage of the fact that us humans are far superior pattern-matching machines than modern computers, was a mysterious green blob dubbed "Hanny's Voorwerp". 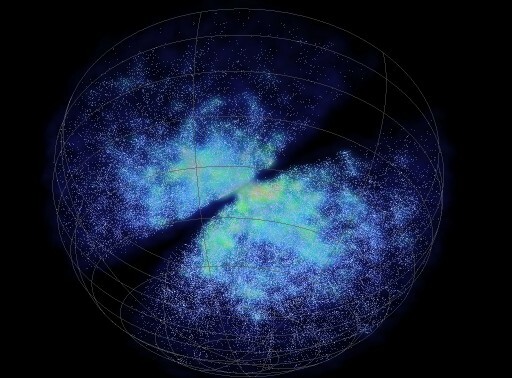 It's a huge irregular cosmic structure nearly the size of a small galaxy, and yet it is suspiciously devoid of stars. Using radio telescopes, astronomers at ASTRON think they now have a good idea of what it is. 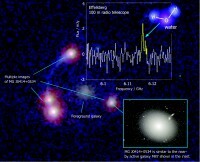 They observed an energetic particle stream emanating from the center of a nearby galaxy IC 2497, generated by its supermassive black hole, which slams into the gas comprising Hanny's Voorwerp to make it glow. As for where all the gas comes from? 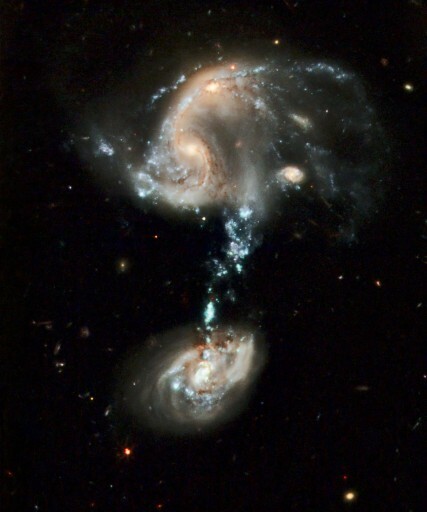 It's probably the gas that was stripped from IC 2497 or another galaxy during a close encounter.